"Thanhouser production with Frank Crane"
Production still with Mignon Anderson? 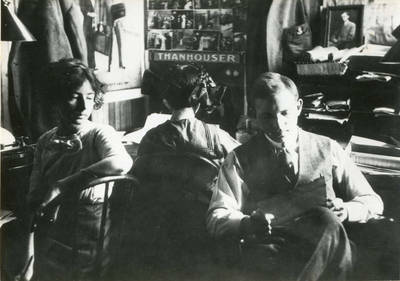 and Frank Crane; note "Thanhouser" in background, used to protect Thanhouser Compnay rights, 1910. BW photograph; 3.75" x 5.375"